Large nonfat latte for me, water out of the community bowl (kind of like an Italian soda, Fenton tells me, with all those other dogs’ saliva for flavoring) for Fenton. Any treats for you or Fenton on this occasion? A Noah’s cinnamon sugar bagel, lightly toasted with honey almond cream cheese. I get the top half, he gets the bottom. How were you and Fenton united? I got Fenton from a lady named Margo Coombs who lives in Grand Junction, Colorado. 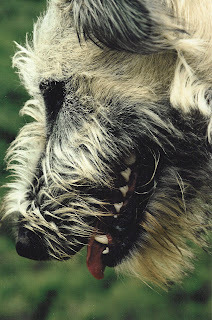 I got my first Wolfhound, Dante, (the dog that the novel Sight Hound is about) from her by answering an ad in the Denver Post. Her dogs are very special. After spending the last 15 years with them, it is hard to imagine not having their energy in my life. How did Fenton get his name? Any aliases? He is named after my dear friend and fellow writer Fenton Johnson, author of Geography of the Heart, and Scissors, Paper, Rock, among other books. Fenton has no children himself, but he has eight brothers and sisters who all have kids and not one of them named a child Fenton. Fenton the canine and I tried to make that right for him. What role has Fenton played in your writing? Fenton figures quite prominently in my writing. I would call him a major character in Contents May Have Shifted, and he figures into several essays I have written over the years. Much more importantly, I believe spending as much time as I do out in the world with my dogs generally, and with Fenton in particular, makes me a better noticer. Fenton is a great noticer, and all of my writing begins in my noticing, rather than in my imagining. Also, one of the things that gets me down on the couch with my laptop in my lap and really working on something is the knowledge that he will very likely join me up there on the couch, rest his chin across my ankles, keep me company while I work. 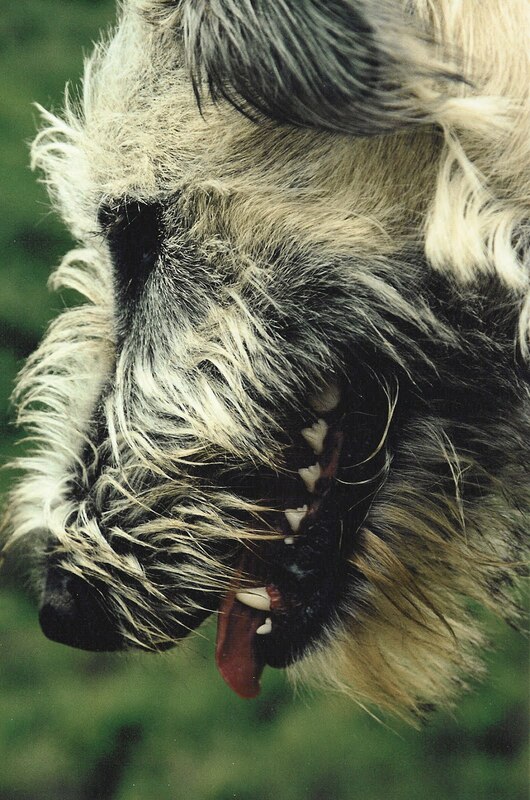 Having a wolfhound rest his chin across your ankles is probably one of the top ten best feelings in the world. Does Fenton have a favorite place to go for an outing? In Davis, he likes the Big Square, a quarter section of durum wheat that the farmer lets us walk the perimeter of. In Creede, Co, our other home, there are 5 million acres of designated wilderness right out back door. Most mornings in Creede we go up into the National Forest behind the house to a spot we call Coyote Rock. When Fenton takes himself on an outing(which he occasionally seizes the opportunity to do even though it is not “allowed” in the strictest sense) he goes two miles down the road to the Bristol Head neighborhood, where he knows exactly which houses have the milk bones. He is very zen about the postman. (I originally read the question as possum, which is a different story…) Squirrel, absolutely, and the only thing better than a squirrel is a cat. No interest in sticks or balls. Where in my name, he often says, do you see the word retriever? A squeaky toy maybe, especially if the young dog, William, wants it. But even then he mostly just cuddles it up against him and rests his chin on it. What is Fenton's best quality? His self-possession. He has always been utterly non needy without being at all aloof. He is the friend who is always there, keeping track of you across the room if you need to meet his eyes for courage, but never demanding more than you have to give. I thought when Dante died I would never have another dog who would teach me so much about how to be a person. But Fenton has continued my education, with a slightly different set of lessons than Dante’s. If Fenton could change one thing about you, what would it be? My travel schedule first, and then the amount of psychic energy I spend worrying, although truth be told, he is a worrier too. What the hell are the humans doing now?, you can often hear him saying, especially in the car, where he believes he has to keep all the other cars on the other side of the yellow line with his mind. What is Fenton's proudest moment? Once outside of Marfa, Texas, Fenton got on a herd of antelope. The antelope were either really bored, or really tired, because they did four loops around this giant fallow field in about third gear, giving Fenton the illusion that he was keeping up with them. Now Fenton is fast, mind you, but not fast like an antelope. Eventually they got sick of him, and found another gear and left him in the dust, but during those twenty minutes that they toyed with him, he kept looking back at me, like, can you believe I am keeping up with these SOB’s? If Fenton could speak in the movie about your life, who should do his voice? Morgan Freeman. No contest. And if Morgan Freeman were busy, Anthony Hopkins. And if they were both busy, Richard Ford. Just finished "Contents May Have Shifted" yesterday evening and I have to say that Fenton the Dog was one of my favorite characters. Of course, it helps that I was reading with Luci the Pug lying across my ankles. Great writing, great reading for a Sunday afternoon after a rather sketchy life trauma. Great book! My friends in MT bred and showed Wolfies. What wonderful dogs and Fenton sounds like one of the best. Heard a review of Contents May Have Shifted on NPR - very positive; looking forward to reading it. 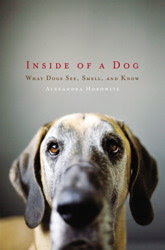 I have read Pam Houston's books and enjoyed the part dogs play in her writing, especially in Sight Hound. I can't wait to get a hold of "Contents May Have Shifted". I enjoyed this interview, especially the statement about dogs making their humans better noticers and later the statement "If you need to meet his eyes for courage". I can relate so well. PLEASE DO NOT CHASE CATS.